Just added on the CCS website front page, a note about the passing of Rick Milam. If you happen to receive this e-mail, please accept my advance apologies. I tried to make sure that it only happened once. It is with great sadness that I inform you of the passing of Rick Milam (pictured here to the left, holding an award, courtesy of sportsimagewire.com at the 2010 Stanford Track and Field Invitational) tonight, Aug. 23. He was on his way to overcoming cancer. But in a short time period, starting Sunday afternoon, he suffered two heart attacks. He died with his brother and two close friends at his side at the hospital. Some of you may not have met him, but if you attended either the CCS cross-country championships, the CCS track and field meet or at a Los Gatos All-Comers meet, he was there with his booming voice announcing races. He was a very good clerk and a better man. I will miss him very much, especially next spring when track season goes off and he won't be there. A very sad loss for the cross country and track and field communities. "Longtime message board poster and DyeStat contributor Rob "Watchout" Monroe returns to the front page with the first of our weekly POWERADE FAB 50 ESPN RISE team rankings. Look for weekly FAB 50 updates from Rob from now through the end of the cross country season." Coming in at #27 is the Campolindo HS girls although they are incorrectly listed as NCS champions from last year. Courtesy of the Bootleg, here is a season preview of the Stanford's mens and womens teams as they head toward their first race on September 3rd. in Reno. 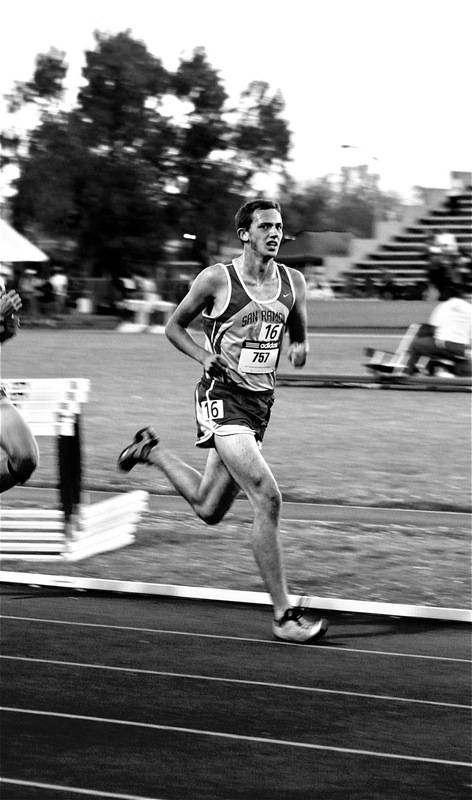 Included in the preview is former Davis HS runner and now Stanford senior Brendan Gregg. Here is an interview I did with Brendan in February 2009. Similar articles out there covering NorCal XC teams? Send the links to albertjcaruana@gmail.com or feel free to post the link below in the comment section. New world record in men's 800m. New American record in men's 3000m. Lots of great runs by Americans all across the board including Shannon Rowbury in the women's 1500m. The race to the finish line in the 37th annual Dammit Run looked a lot like the finish in a Central Coast Section meet during the 2009 high school cross country season. The Dammit this year was dominated by youth with 15-year-old Richard Ho leading the charge and 18-year-old twins Weston and Nathan Strum close behind. 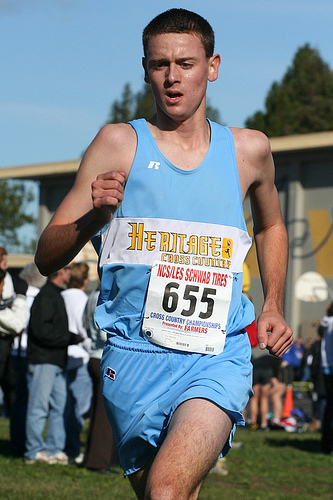 Ho, a member of the Leland High School cross country squad, finished first in the 5-mile run that beings and ends at the Los Gatos High School track after a trip up to the Lexington Reservoir. Ho won the Dammit title by completing the course in 28:33. Ho won seven races for the Chargers as a freshman, setting four records during the cross country season. Behind Ho were the Strum brothers, who starred in cross country and track at Pioneer High last year. W. Strum finished second to Ho in 28:42 and N. Strum was third in 29:25. Behind the Strums were Charles Deanda, 15, a standout at Bellarmine, and Kevin Bishop. DeAnda completed the course in 29:30, while Bishop was right on his tail in 29:36. W. Strum set as record in the 3,200-meter run in the Los Gatos hosted Top 8 Track and Field Classic, snapping a mark that had been set in 1981. N. Strum also starred in the meet, finishing first in the 1,600- and 800-meter races. Below is a link for the first of the three part speaker series the Bay Area Track Club (BATC) is having at the Sports Basement this fall. Magdalena Lewy-Boulet and Peter Gilmore will be speaking about Marathon and half marathon training this Wednesday night. Whether you are a new or veteran coach or just somebody that wants to learn more about the sport of cross country, this manual will be a worthwhile read for you. Any other links out there that might be of interest to visitors of this site? Feel free to add them in the comment section below. don't adjust the goals, adjust the action steps." Thank you to Jason Jimenez for the following rankings. Notes: This division should just be called the Youth Division. One thing was striking when calculating next year's possible positions. There were almost no seniors in the 2009 Section final. And a majority of those few seniors came from one school: Davis Sr. Legendary Coach Bill Gregg will have his work cut out for him to reboot his empire, but I don't see any reason why he wouldn't be able to. The obvious story here is that Oak Ridge is virtually unbeatable, losing only Hayley Scott. Lodi looks strong too however, especially with the track credentials of #1 Cassidy Daley. If Davis or Oak Ridge stumble seriously, Lodi might be ready and waiting. Notes: I suspect that Woodcreek may have a secret stash of 21-flat Willow Hills girls waiting for November 2010, but for the time being, it looks like Woodcreek is out of contention for the 2010 season. St. Francis will be there though, possibly with a Top-10 in the State type team. Barring any dramatic improvements from Oakmont's 3-4-5 scorers, St Francis appears to be ready to roll through Section finals. Vacaville, Ponderosa and Del Campo return full squads with experienced leaders. Look for these 3 teams to pick up the pieces if St Francis or Oakmont fall by the wayside and/or move divisions. Additionally, a lot of us will be wondering what Bella Vista will do. Will they run their freshmen and sophomores down again like last year or will they unleash them on the varsity scene? With no results on their prowess at the 5km distance it is hard to guess what type of team BV could be. If they do run them all up, expect Bella Vista to cause some sort of stir. Notes: Note to self; Del Oro is loaded. Looking at their frosh-soph team, it appears DO could be dominating this division once again for the foreseeable future. Unfortunately, another perennial D3 power seems to have lost their hold on those coveted State berths. Placer loses Shannon Harcus and it hurts them quite a bit. The Hillgals do have a decent frosh-soph team that may be able to replenish their Varsity squad, but look to Vista Del Lago to keep hold of their berth and then it will likely be El Dorado, returning a strong front 3 with frosh-sophs ready to reinforce. If any of these teams falter however certainly Placer and Woodland are strong enough to take advantage. Coach: Coach Bill Taylor starting coaching track and cross-country in 1977. 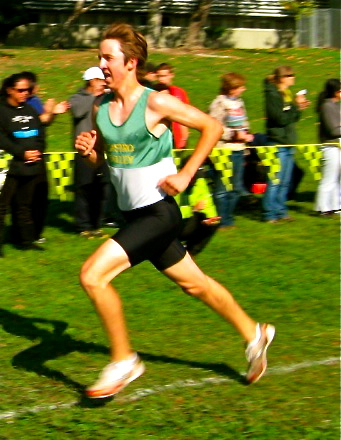 This year, he is joined again on the boys team by Rod Berry – one of the top former Marin County high school runners. Highlights of 2009 Season: The boys team lost one dual meet in the 2009 season, but are hoping to improve upon last year's performance with a number of returning and improving runners. "They are bigger now, experienced, ready to let fly," said Taylor. "They could be a championship team this year." In addition, a number of the runners performed well in the spring 2009 track season, including Carroll Oliver, who advanced to the top nine finals in the 800m at the Meet of Champions. De La Salle High announced that Kevin Selby has resigned as head track and field coach and will be succeeded by assistant coach John Harvey. Selby will continue to be a physical education and health teacher at the school. “I could see myself coming back to coaching at some point,” said Selby, who was the 2009 Bay Area News Group East Bay Boys Track and Field Coach of the Year. He coached three years in his second stint as the Spartans’ track and field head coach. De La Salle won North Coast Section Meet of Champion team titles all three years and were tied for sixth at the 2009 California Interscholastic Federation state championships . He was also the school’s head coach from 2000 to 2002. Harvey has coached De La Salle’s sprinters and also the long jumpers and triple jumpers the past four seasons, including 2009 California Interscholastic Federation state long jump champion Chase Wheeler. Previously he was the head coach at Merrill West-Tracy from 1999-2005, which included a CIF state girls team title in 2005 and five individual state titles, and Wilcox-Santa Clara from 1992-98. Jessie Petersen is still a relative novice when it comes to the steeplechase. In sports, however, few things trump sheer athleticism and hard work, and Petersen is Exhibit A in that regard. Competing in the steeplechase for just the fourth time in her career, the incoming Carlmont High senior blew away the field to win the event two weeks ago at the AAU Track and Field Junior Olympic Games on the campus of Norfolk State University in Virginia. Competing for track club RF United, Petersen won the 2,000-meter steeplechase in the young women’s division in a personal-best time of 7 minutes, 11.79 seconds. How dominant was Petersen? Oteia Prince of Tennessee was a distant second, nearly 35 seconds behind. Petersen has three firsts and one second-place finish to her credit in the event, with the runner-up finish coming at last summer’s Junior Olympics in Des Moines, Iowa. Petersen was elated with her performance, especially when you consider the fact that she only trains — for a couple of weeks, tops — for the steeplechase during the summer club season. All Coaches, paid or unpaid, must be certified in Coaches Education by December 31, 2008. Coaches can now become certified online for $52 or in a classroom setting by one of California's Instructors. Click the links below for more information. "Fundamentals of Coaching" is a general coaching course that will count towards CIF certification. It is listed under core courses at the NFHS web site. Please note that the courses at the NFHS site with a specific sport name attached WILL NOT count for this certification. The above link will take you directly to the correct course. 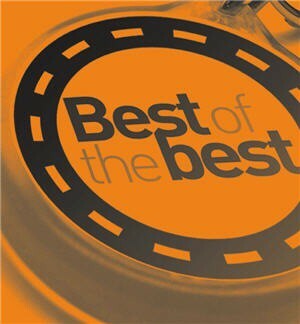 Who is the best in Northern California? Moved this back up to the top since many comments are being posted. Feel free to chime in and answer the following questions. Your turn to answer the following questions as we head closer and closer to the start of XC '10. What is the best boys' cross country team in Northern California? What is the best girls' cross country team in Northern California? Who is the best male runner? Who is the best female runner? What is the best combined program (boys and girls) in Northern California? Who is the best coach? What NorCal teams will end up on the podium at the state meet this year (top 3)? Let's hear it. Why did you make your selections? We had a very unfortunate accident happen to one of our graduated athletes Danny Cox. He was a star Long jumper, 400 athlete. He suffered a spinal injury in a water accident in Tahoe this week.He is currently paralyzed from the chest down. I am attaching the article from the papers. He will be going to Vallejo in the next week for three months of rehab. He is surviving on Facebook Posts by our community and athletes. Perhaps we can flood him from the state level. The schedule will be finalized at the CCS organizational meeting on Wednesday, September 2nd. but if form holds from previous seasons, here is when teams will compete on Saturday, November 14th at Toro Park. If you love high school cross country and enjoy looking back in history of some of the great teams and individuals of the past, then you have to check out XC Nation. Be prepared to be on the site for a while looking back at years and years of data and information. Interesting to look back at the Postal National Championships (5 x 2 miles) and the listing of several CCS teams including Palo Alto HS, Hillsdale HS, Carlmont HS, Mills HS and Burlingame HS who either finished 1st or 2nd in the national "meet". Also from the site, a great video "The Bill McChesney Jr. Story"
Hopefully someone with a greater span of cross country history than I can respond to this but who is the best boys' team to come out of Northern California? What about girls? Is German Fernandez the best individual or is there someone else that we are overlooking? Who is the best girl? Amber Trotter? Julia Stamps? Sara Bei? Other? Unfortunately, no Northern California teams are currently ranked this year but that doesn't mean that can't change during the season. It has happened before so who are the teams ready to compete at that level? Who are the NorCal teams that have the potential to be one of the best at the state level? National level? Feel free to comment below. Who should move up? Down? Who did I miss? 2010 will have a different look to it in this division as some of the familiar faces will be competing collegiately. NCS will crown new Division II champions in both races (boys and girls) as the defending champions (College Park) will now wade in the more turbulent Division I waters. The top five individual boys from the '09 race are also gone from this division. Jacque Taylor has finally graduated after what seemed like 7 years at Casa Grande (always seems that way when a runner is very competitive as a freshman). Taking a look at the boys' field first, the favorite going into next season will be San Ramon Valley which won the ultra competitive Division I race last year. They lose the majority of that juggernaut team but return junior to be Parker Deuel who will battle for the individual crown. They also return #6 man Matt Devries who participated on one of the top teams in Northern CA as a freshman and they did field one of the better Junior Varsity teams in this area. Nipping at their heels will be Santa Rosa (last year's 2nd place team). They lose their #1 superstar runner, Reesey Byers but return runners #2 through #5 (Kurt Wendler, Jonathan Peck, Jordan Guerrero and Michael Tomasi). If the two teams above aren't able to live up to their pre-season rankings, then the next team in line will be Casa Grande. 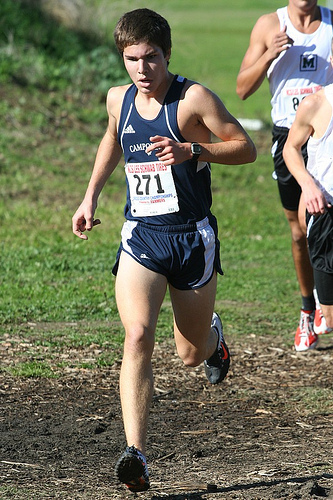 Following a highly successful Track and Field season, Casa will be hungry to improve their 4th place finish from last year's MOC race as they will be led by senior Austin Minnick. Mt. Eden, last year's 5th place team, returns the whole kit and kaboodle and will be in the mix as well with senior Marvin Nugal. The race for the individual title will go through Parker Deuel of San Ramon Valley. Anyway you look at it, he has to be the favorite. In the Division I final last year, Deuel finished in 5th place running 15:43. During the Track and Field season, he recorded a 1:57.02 800, 4:17.30 1600 and 9:22.43 3200. The fastest returning runner in this division will be David Brody of American HS who finished in 6th place here last year running 15:57. Also in the hunt will be Jamie Goldfield of Montgomery (16:11), Marvin Nugal of Mt. Eden (16:23), and Eric Morford of Heritage (16:27). Picking the top teams on the girls side is a bit more difficult as freshmen girls tend to make more of an impact. With that in mind, my picks for this coming season are based on what happened last year and what teams return the most fire power this coming season. Last year, the San Ramon Valley girls missed a state meet berth in Division I by a mere 4 points to Castro Valley (101 to 105). They return every runner from a team that will certainly be hungry to match the NCS championship won by the SRV boys last year. A title this year would give the SRV girls their first NCS title since 1992.
Who has been one of most consistent team in this division over the last 6 years? That would be Carondelet which has had the following finishes (2004-2nd, 2005-3rd, 2006-1st, 2007-1st, 2008-2nd and 2009-3rd). 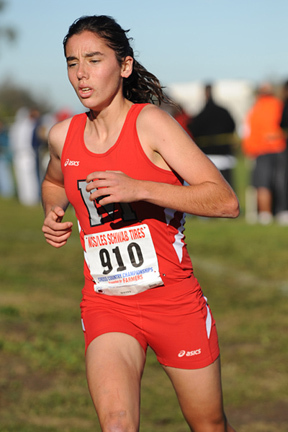 Despite losing #1 runner Heather Cerney, Carondelet returns runners #2, #3, #4 and #6. Based on history and the likelihood that an impact freshman or two will contribute to their team, Carondelet will be a threat. Next in line will be usual suspects in this division, Santa Rosa and Montgomery. Santa Rosa returns the majority of their team (#2 Kelly Brooks, #3 Sadia Ibrahim, #4 Eva Herbst, #5 Emily Rozga, #6 Carly Miller and #7 Marina Lecoeuche) but Montgomery returns the #1 runner in this division, defending champion Julie Nacouzi. Casa Grande edged out Carondelet by a mere point for 2nd place (68 to 69) last season and although they lose Taylor and Dominique Ratto, I suspect they will contend once again this year. The favorite for the individual title for the girls will be defending champion Julie Nacouzi of Montgomery. She recorded the fastest time in all divisions running 17:02 and defeated eventual state champion, Jacque Taylor by a convincing margin on the Hayward HS course. If she runs anywhere close to last year's form, the race will be for second place and will be between the following runners: Amber Piersol of Windsor (18:31), Alexandra Tate of Clayton Valley (18:35), Liz Hebel of San Ramon Valley (18:35), Megan Beck and Emily Balcewski of Carondelet (19:09 and 19:10). 1) San Ramon Valley-Parker Deuel leads the way here. 2) Santa Rosa-How well will they run without Reesey? 3) Casa Grande-4th here last year, 3rd this year? 4) Mt. Eden-Everybody back and ready to break into top 3. 5) Montgomery-Jamie Goldfield strong #1 for team always in the hunt. 1) San Ramon Valley-Strong team ready to challenge for team crown. 2) Carondelet-Consistent top program in this division. 3) Montgomery-It doesn't hurt to start the team score with 1. 4) Santa Rosa-Can they break into top 3 and reserve their ticket to Fresno? 5) Casa Grande-Can they rebound from losing strong senior class? Feel free to comment on the above rankings. This division has a lot of teams rebuilding with the departure of some very good runners. Did I miss anybody? Any surprises? Freshmen studs and studettes? Also, if you have a link to pictures of any of the above runners, please send them to albertjcaruana@gmail.com. If your team website has been updated or you have a new link, send it my way as well and I will update the link. From Norfolk State University, Norfolk, Virginia. Sac-Joaquin Section Boys' Pre-Season Rankings for Divisions I-III. Notes: Looks like Davis will once again retain its stranglehold on Division 1 thanks to a group of strong JV returners. Oak Ridge has faced some serious difficulties the last two years, but never count them out. There's something in those El Dorado Hills. Lincoln of Stockton and Modesto don't have high powered teams but they are returning experienced Varsity athletes and that is always a bonus in November at Willow Hills. Notes: Del Campo returns possibly the strongest team in the entire section. Look for the Cougars to standby their proven formula for success, racing weekly and slowly but surely dominating all competitors. Woodcreek and Jesuit could be the match-up of the division fighting for second. If memory serves, Jesuit and Woodcreek don't go head to head much during the season so we will have to wait and see how it will turn out. Fairfield, Rocklin, Ponderosa have groups of strong returners but are missing vital pieces to State Championship quality teams. Notes: Despite seeming unbeatable in this division in 2009, El Camino lost the Section Championship because of a weakness at the 5th scorer position. However, this will likely not occur in 2010 as the Eagles return a top-3 capable of scoring 1-2-3 and a stable of more experienced returners capable of filling the 4-5 positions. On paper the only team capable of challenging El Camino is Sonora, and if they really want to make a challenge they too will need some back up for their two superior front-runners. With a newly added State Berth for Division 3, a spot opens up for Placer or Del Oro to make a return journey to Fresno. Placer may have the upper hand in that battle as they have a potential 2 or 3 point scorer in Finkbeiner. Hosted on the Humboldt State University campus July 25-30 with runs at various locations throughout Humboldt County, camp directors Jim Hunt and Kevin Searls facilitate a week long workshop for 160 high school athletes featuring guest lectures by Mike Pigg, Kim Conley, Jon Spiros, Peter Scarpelli, Deborah Osteen, Mark Conover, as well as skill work with Warren Mills, Rick Heflin, Val Sell and others. As requested by the International Olympic Committee, the IAAF has prepared and submitted a Questionnaire concerning the Review of the 2018 Winter Olympic Programme to include Cross Country Running (following the original request from leading cross country athletes like Paul Tergat and Haile Gebrselassie). The IOC Programme Commission will study the document in August 2010 and come back to IAAF, if necessary, for further clarifications before submitting it to the IOC Executive Board, for decision. How are you going to inspire your runners this coming cross country season? How are you a better coach this year? Are you communicating with your runners? The first speaker today was Saugus HS coach Rene Paragas. He gave an overview of his program and how he deals with the beginners, returners and elite on his team. Definitely great insight in one of the top programs in California. Thanks to SRV coach Tim Hunter for hosting and putting the clinic together. Thank you also to Tim O'Rourke and Ken Reeves for contributing to the clinic with their round table discussion. And last but definitely not least, thanks the Nike for the free shoes! Stayed tuned for more coaching interviews. Feel free to email me coaches that you would like to hear from on this site. I will see what I can do about interviewing them. I can be reached at albertjcaruana@gmail.com. Will post some notes when I return. Speakers today include Rene Paragas of Saugus HS and Luis Quintana of Arizona St. Should be a good one. If you want to run fast, you have to do more than run. While running is the key to racing fast, the other elements such as strength and flexibility have to be addressed as well during practice. Here are some links that will be helpful courtesy of coachjayjohnson.com. Lunge Warm-Up from CoachJayJohnson on Vimeo.